Home Tags Posts tagged with "gm recall"
General Motors is recalling more than 220,000 vehicles to correct a brake defect that could increase the risk of fire. The carmaker says it is not aware of any deaths or injuries resulting from the defect. 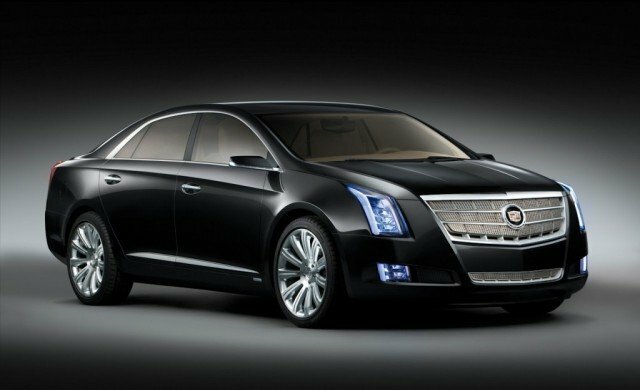 GM recall affects Cadillac XTS model from 2013 and 2014 and recent versions of the Chevrolet Impala. Most of the owners are in the US and Canada. 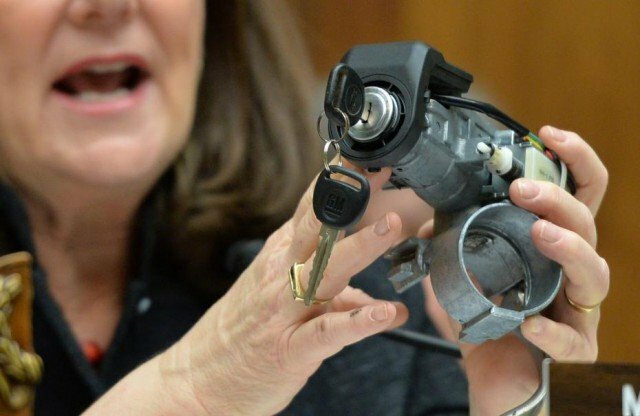 It is the latest safety concern for GM, which is under investigation for taking more than a decade to identify a problem with ignition switches. That fault has been linked to 19 deaths and it forced the company to recall more than 15 million cars worldwide this year. In April GM’s chief executive Mary Barra apologized for the fault when she appeared at a congressional hearing over the issue. “I cannot tell you why it took years for a safety defect to be announced… but I can tell you that we will find out,” said Mary Barra in April, testifying before a US House of Representatives panel investigating the issue. Last week the head of the National Highway Traffic Safety Administration David Friedman appeared before US lawmakers and was asked why his agency failed to detect the ignition problem. David Friedman blamed GM for withholding critical information. The latest recall is over the parking brake, which in some cases remained partially engaged causing the brakes to heat up. 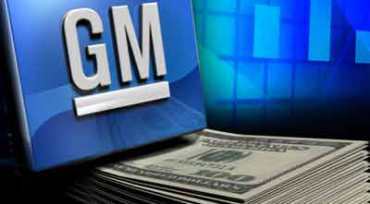 Recalls have hit GM’s financial performance – in the second quarter profits fell 85% to $190 million, the company said. 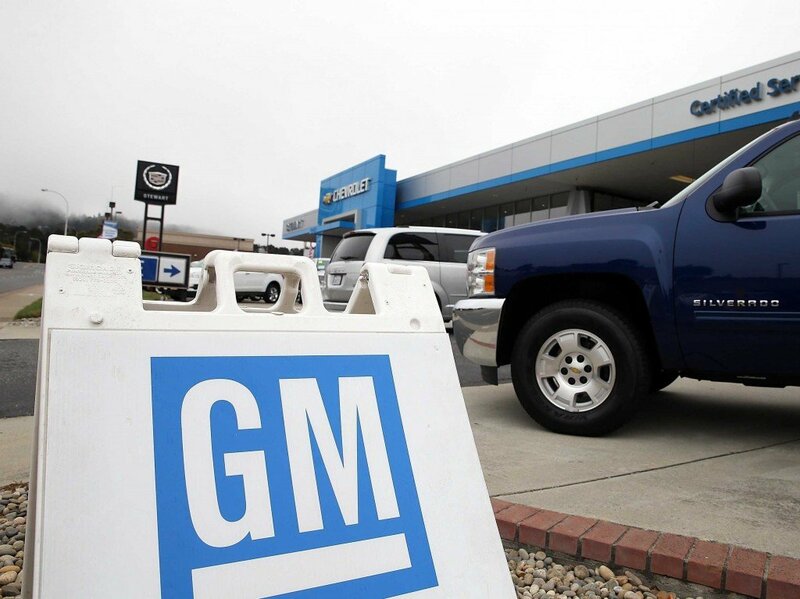 General Motors’ earnings have slumped because of costs related to its vehicle recalls. In Q2 2014, net profits fell 85% from a year ago, to $190 million, GM said. GM has recalled nearly 29 million vehicles this year, mostly due to faulty ignition switches. The cost of recall-related repairs came to $1.2 billion, with another $400 million put aside for compensation payments. The shares fell 4% in afternoon trade. However, GM said that this was an uncertain estimate. “There is no cap on this program, but this charge is the company’s best estimate of the amounts that may be paid to claimants,” GM said in a statement. “Due to the unique nature of the program, this estimate contains significant uncertainty and it is possible the total cost could increase by approximately $200 million,” the statement continued. “At the end of the day, the ultimate cost of this will be determined by Ken Feinberg [the compensation expert administering the fund],” GM chief financial officer Chuck Stevens said. The defective ignition switch has been linked to 13 deaths so far. GM also said it was changing the way it would estimate future recall expenses, a move which involves putting aside a certain amount of money from the sale price of each vehicle. As a result the company has put aside another $900 million as a best estimate of “future possible recalls for up to the next 10 years on 30 million GM vehicles on the road today”. Chuck Stevens also said the situation in Ukraine had led to GM cutting production there by 20-25% at its plant in St Petersburg, and that he expects more of the same in the second half. Those costs aside, GM expects to be profitable in Europe by about 2015. General Motors has announced six more recalls covering 717,950 vehicles in the US for varying reasons, although none were related to ignition switch issues, Reuters reported. Only this year GM has recalled nearly 15 million vehicles worldwide for potentially lethal issues with ignition switches. The largest recall announced on July 23 is for a potentially loose bolt in power adjustable front seats for several cars from model years 2010 and 2012. Vehicles involved in the today’s recalls have been linked to two crashes and three injuries but no deaths, the carmaker said. 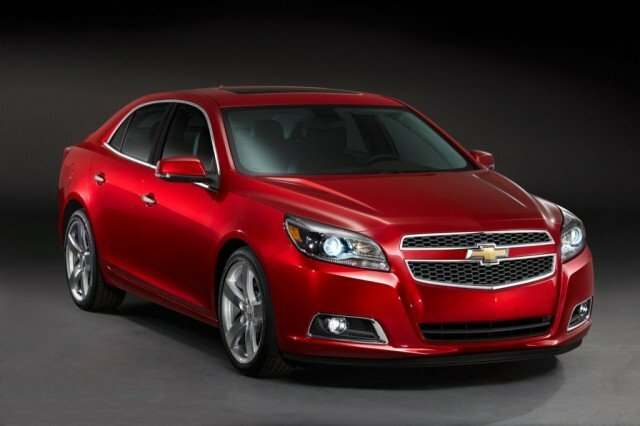 Most of GM’s recalls this year have been for older models, but many of the recalls announced Wednesday are for current-model vehicles, including about 57,000 Chevrolet Impala sedans from the 2014 model year for the loss of power steering. The latest recalls hit GM’s best-selling vehicles, the Chevrolet Silverado and GMC Sierra pickup trucks, from the 2014-2015 model years. They were among about 124,000 vehicles across eight model lines recalled because a weld on seat brackets may not have been done properly. The company said it expects that 1% of welds were not completed properly. Others recalled include three Cadillac models from the 2014 model year, – the ATS, CTS and ELR. The largest of the recalls announced today was for 414,333 vehicles that may have a loose bolt to adjust front seat heights. Consumers are advised not to use the power seat height adjuster until dealers can replace a bolt. 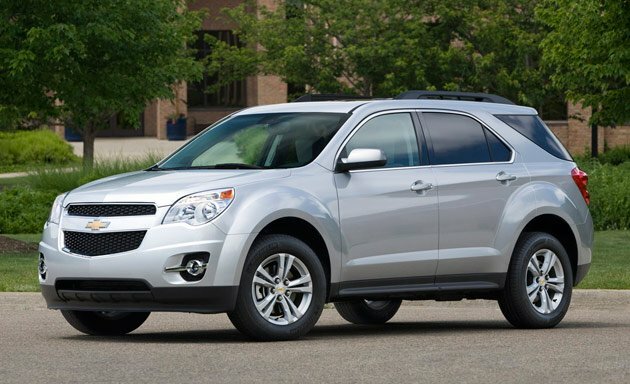 Vehicles involved in this recall include the 2010-2012 Chevrolet Equinox and GMC Terrain crossovers; the 2011-2012 Buick Regal and LaCrosse sedans; the 2010-2012 Cadillac SRX crossovers and the 2011-2012 Chevrolet Camaro sports cars. The carmaker did not report how many more vehicles will be included in the six recalls outside the US. 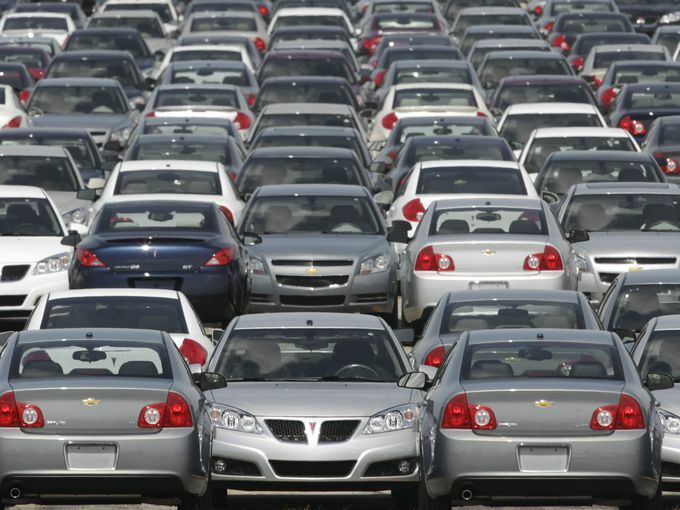 GM has recalled about 29 million vehicles worldwide this year, of which about 25.7 million have been in the US. Attorney Kenneth Feinberg, the US’s most well-known compensation expert, is scheduled to reveal the terms of General Motors’ plan to pay victims of crashes caused by bad ignition switches on Monday. GM CEO Mary Barra has said there will be no cap on payments. Also, GM won’t have any say in Kenneth Feinberg’s awards, she told a US House subcommittee during a hearing earlier this month. “He will have complete independence,” Mary Barra said under questioning. GM says the faulty switches are responsible for at least 54 crashes and more than 13 deaths, but lawyers and lawmakers say the death toll is closer to 100, with hundreds of injuries. That would send GM’s payments into the millions, if not billions of dollars. The company was sitting on a $27 billion cash stockpile as of March 31. So far, it has announced or taken charges of $2 billion for recall expenses. Kenneth Feinberg, who also administered the government’s $7 billion fund for the 9/11 victims, is likely to follow a similar plan in the GM case, with detailed formulas setting payments based on severity of injuries and age. The average award to the 2,880 families who filed death claims from September 11, 2001, was $2.1 million. The fund also paid an average of about $400,000 each for the 2,680 accepted claims of injuries; the smallest injury award was $500, the largest $8.6 million. The 9/11 fund was set up to protect financially troubled airlines from thousands of potential lawsuits. It was a success, limiting the number of lawsuits to about 80. The GM compensation likely will be limited to victims of crashes of older small cars, of which GM recalled 2.6 million earlier this year because the switches can cause engines to stall, shutting off power steering and brakes. That can cause drivers to lose control of their vehicles and also disables the air bags. 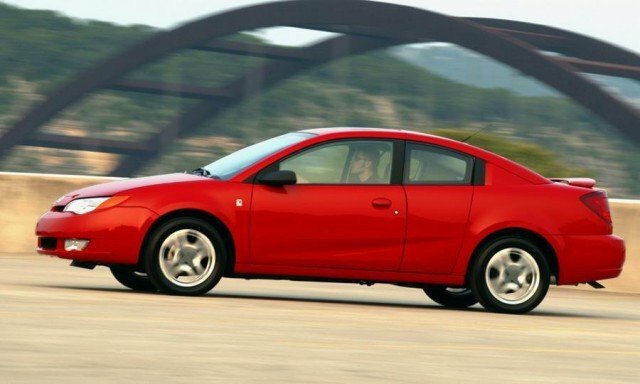 The cars include the Chevrolet Cobalt and Saturn Ion, both of which are no longer made. Kenneth Feinberg could use air bag activation to decide if people are paid. If the air bags deployed in an accident, that means they were not disabled by the switches, so the switches were not at fault. GM has said Kenneth Feinberg would start taking claims August 1. Mary Barra said she did not know how much the company would have to spend to settle the claims. To get a payment, victims would have to agree not to sue GM. The company is vulnerable to legal claims because it has admitted knowing about the switch problem for more than a decade, yet it didn’t recall the cars until this year. Kenneth Feinberg is scheduled to hold a news conference in Washington on Monday to release details “including eligibility, scope, rules for the program, and timing of submitting claims,” a spokeswoman for the attorney said in an email. The program also will launch a website on Monday. GM is recalling 3.16 million more cars in the US because of ignition switch problems, which date from 2000 to 2014. Switches can move out of the run position if cars are jarred, and disable power steering. Last week General Motors recalled more than 500,000 Chevrolet Camaro cars after finding a fault with its ignition system. In March, the carmaker recalled 2.6 million cars because of a faulty ignition switch. A company statement said: “If the ignition switch moves out of the <<run>> position, there is an effect on power steering and power braking. GM has now also raised its expected second-quarter charge for recall expenses to $700 million, up from $400 million. In May, GM was fined $35 million for failing to address defects which have been linked to 13 deaths. GM has now recalled more than 17 million cars in the US this year – more than the carmaker sold in 2013. Previous recalls have involved possible faulty seat belts, transmissions and air bags, as well as potential fire issues. GM’s announcement was made after the close of the New York Stock Exchange, where its shares had ended the day up by 1.21% at $30.06. GM has announced it is recalling 511,508 Chevrolet Camaro cars, mostly in North America, after finding a fault with the ignition system. The carmaker said a driver’s knee could bump the key fob and turn it out of the “run” position, causing a loss of power. General Motors said the fault had led to three crashes, causing four “minor” injuries. In May, the carmaker was fined $35 million for failing to address different defects which have been linked to 13 deaths. GM has recalled more than 13 million cars in the US this year – more than the carmaker sold in 2013. In addition to Chevrolet Camaro recall, GM also announced it was recalling 28,789 Saab 9-3 convertibles from the 2004-2011 because of concerns over front seat belt failures and 21,567 Chevrolet Sonic cars from 2012, because of concerns over a transmission fault. GM is also recalling 14,765 of its 2014 Buicks, because of fears over an electrical wiring fault. 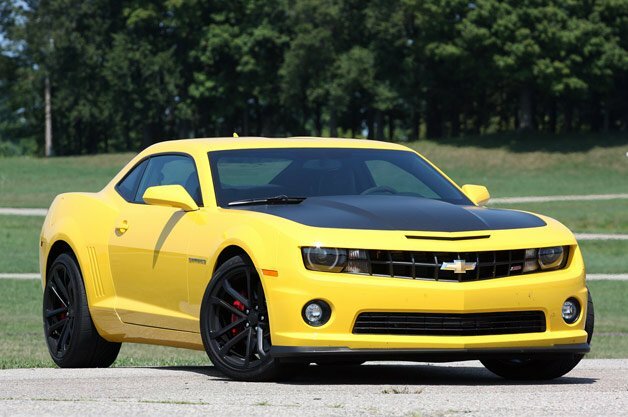 “The Camaro ignition system meets all GM engineering specifications and is unrelated to the ignition system used in Chevrolet Cobalts and other small cars included in the ignition switch recall,” GM said in a statement. GM has seen its 2014 Q1 profits hit by a $1.3 billion charge to cover the cost of a huge recall of cars over defective ignition switches. The faulty switches could turn off the engine, disabling the airbags and have been linked to at least a dozen deaths. General Motors says it also incurred $300 million in restructuring costs, mostly in Europe. As a result net income was $125 million, compared with $865 million in the same period last year. Sales came in at $37.4 billion, up from $36.9 billion in 2013. GM said that of the $1.3 billion recall charges, some $300 million was to cover the cost of courtesy cars. “Obviously, the recall campaign charges in the first quarter overshadows the headline results, but if you look underneath that, we had strong performance across the board,” chief financial officer Chuck Stevens said. It was GM’s worst quarterly performance since it posted a net loss after leaving bankruptcy protection in 2009. The company had raised vehicle costs during the quarter, which helped boost operating profits by $1.8 billion. In North America, GM experienced higher sales of its more lucrative versions of its redesigned Chevrolet Silverado and GMC Sierra full-size pickup trucks. “The performance of our core operations was very strong this quarter, reflecting the positive response of customers to the new vehicles we are bringing to market,” said GM CEO Mary Barra. During 2014 Q1 the company was also hit by another charge of $419 million, “related to changing the exchange rate GM uses for re-measuring the net assets of its Venezuelan subsidiaries”. GM has asked a US court to bar some lawsuits relating to its recall over faulty ignition switches. The recall was issued earlier this year but GM has admitted some employees knew about the problem as early as 2004. General Motors has asked the court to ban cases “alleging purely economic damages” due to the recall. It does not affect cases relating to accidents or injury. The company has been hit by various lawsuits since the recalls began this year. “The lawsuits that are the subject of this motion, most of which purport to be class actions, are brought by or on behalf of individuals who were not injured as the result of any failure of the ignition switch,” the carmaker said. GM has so far recalled nearly 2.6 million cars over the issue. However, it has claimed that the problem affects cars that were manufactured in the years preceding its bankruptcy and subsequent bailout by the US government in 2009. 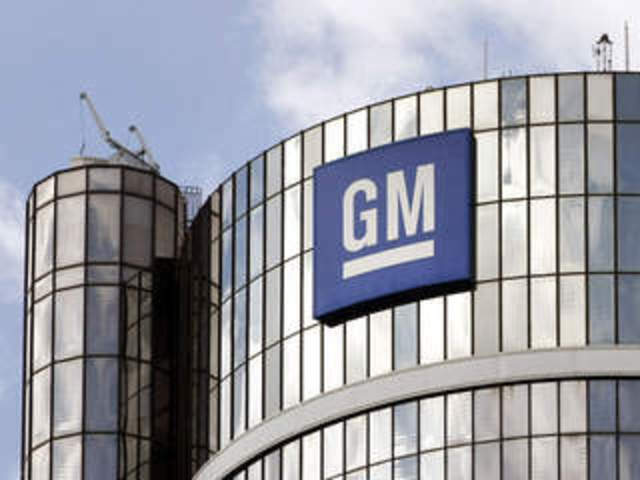 It said the “new GM” – referring to the post bailout firm – had committed to replacing the defective ignition switches as a result of the recall. “New GM’s recall covenant does not create a basis for the plaintiffs to sue new GM for economic damages relating to a vehicle or part sold by old GM,” the company was quoted as saying in its filing by the Reuters news agency. However, the company acknowledged in a statement that “it has civic and legal obligations relating to injuries that may relate to recalled vehicles”, and that it was looking at what options may be available to it to deal with those obligations. Some of those suing the carmaker have alleged the firm hid the information about the problem from the US government while it was being bailed out. They claim that as result of concealing this information GM was not entitled to protection from liability arising from the issue. “GM’s argument suggests that the US Government would have agreed to extend $40bn of taxpayer money for GM’s restructuring, and supported shielding it from liability through the sale order, had it known of GM’s intentional misconduct,” Reuters quoted the plaintiffs as saying in their lawsuit. GM is already facing an inquiry from US authorities over its handling of the issue. General Motors is accused by US Congress of a potentially criminal cover-up of its defective ignition switches. Lawmakers on Capitol Hill fumed at the lack of answers from GM’s new CEO Mary Barra during a second day of hearings Wednesday into why the carmaker waited a decade to recall cars with the deadly flaw. Members of a Senate subcommittee also said GM should tell owners of the 2.6 million cars being recalled to stop driving them until they are repaired. However, Mary Barra gave assurances that the cars, mainly Chevrolet Cobalts and Saturn Ions, are safe to use while owners wait for the replacement part, saying she would let her own son get behind the wheel if he took certain precautions. The automaker has said the ignition switch can move from the “run” position to the “accessory” position because of weight on the key chain. That causes the engine to shut off, disabling power steering, power brakes and the front air bags. As she did Tuesday at a House hearing, Mary Barra said many of the answers Congress is seeking will come out in an internal GM investigation that should be completed in 45 to 60 days. She also said she was unaware of certain details about GM’s handling of the problem – an assertion that frustrated some of the senators. “You don’t know anything about anything,” Senator Barbara Boxer, D-California, said. Mary Barra also tried to assure lawmakers that GM is now more focused on safety and the consumer. Few sounded convinced. Senators aggressively questioned Mary Barra about how GM approved a replacement switch in 2006 but never changed the part number. Failing to change the number makes the part harder to track. In this case, anyone investigating the cars wouldn’t know why earlier switches were failing at a higher rate than later ones. While Mary Barra called the failure to change the part number “unacceptable,” several members of the panel implied that it was done intentionally by a person or group within the company. “I don’t see this as anything but criminal,” said Senator Kelly Ayotte, R-New Hampshire, a former prosecutor. Senator Richard Blumenthal, D-Connecticut, who is also a former prosecutor, told Mary Barra that the more he learns about GM, “the more convinced I am that GM has a real exposure to criminal liability”. The Justice Department is conducting a criminal investigation of GM’s handling of the recall. The GM CEO promised the company will cooperate. Mary Barra said the company has not yet fired any employees in connection with the recall. But she said if inappropriate decisions were made, GM will take action, including firing those involved. As she began her testimony, Mary Barra faced an angry and skeptical Senator Claire McCaskill, D-Missouri – the head of the subcommittee – who recounted the story of a woman who died in an accident involving a faulty switch. She also dismissed Mary Barra’s claim that there is a new culture at GM. She said that when emerging from bankruptcy in 2009, GM had ample time to recall cars with the faulty switch. Richard Blumenthal said GM should immediately tell owners of the recalled cars not to drive them until they’re repaired because they’re unsafe. GM plans to begin repairing the cars this month but has said it might take until October to get them all fixed. Mary Barra said GM has already provided 13,000 loaner cars to drivers who are concerned. But she said the company’s testing on different types of roads shows the cars are safe as long as there is nothing but the ignition key on the key chain. In 2015, GM entering a deferred prosecution agreement with the New York Office. In September, 2018, U. S. District Judge Alison Nathan dismissed the criminal cases against General Motors. New York prosecutors told Nathan the car maker paid over $2.6 billion in penalties, fines and settlements. GM still faces pending civil lawsuits, but the government has finished monitoring the company as per bringing state or Federal charges. 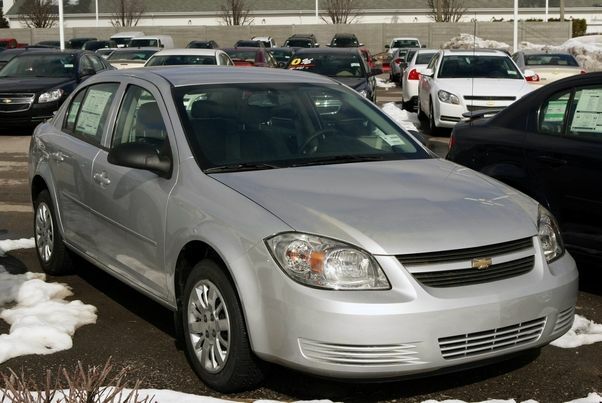 General Motors is recalling 1.3 million more cars for power steering loss. The latest recall includes the 2004-2006 Pontiac G6, Chevrolet Malibu, and Malibu Maxx, 2004-2007 Saturn Ion, 2008-2009 Chevrolet Malibu, Pontiac G6 and Saturn Aura, 2009-2010 Chevrolet HHR (non-turbo models) and 2010 Chevrolet Cobalt. At issue is a potential loss of power steering. GM has been involved with this particular problem since the National Highway Traffic Safety Administration (NHTSA) began an investigation in December 2010, which forced GM to disclose it had received nearly 3,500 complaints from Ion owners. Since the start of February, GM has recalled more than 6 million cars and is now facing the wrath of multiple federal investigations and lawsuits. The NHTSA did not provide recall documents explaining the problem in greater detail. GM said dealers would replace one or a combination of parts, including the power steering motor, steering column and the motor control unit. Owners who paid for these repairs earlier will be reimbursed by GM. The carmaker said it would also give out lifetime warranties for the power steering motor for other non-recalled models, including the 2006-2009 Chevrolet HHR and 2003 Saturn Ion. On Friday, GM recalled more than 490,000 pickups and SUVs, including the 2014 Chevrolet Silverado and GMC Sierra, as well as the 2015 Chevrolet Tahoe, Suburban, GMC Yukon and Yukon XL. On those vehicles, the transmission oil cooler could leak. 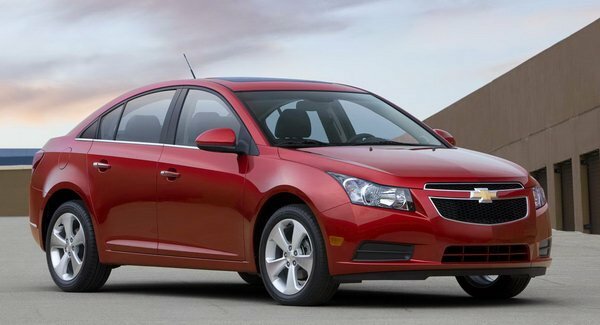 GM also recalled more than 170,000 Chevrolet Cruze sedans from 2013-2014 due to half-shafts on the front axle that can fail. Still on the same day, GM recalled an additional 971,000 cars for faulty ignition switches that had previously covered 1.62 million recalled cars in February. 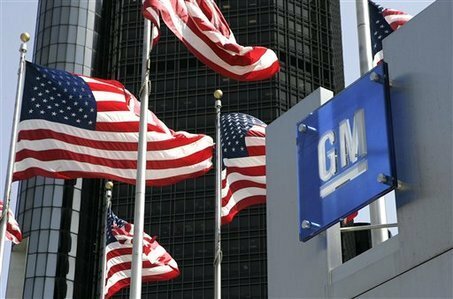 Two weeks earlier, GM recalled 1.54 million cars for faulty airbags, brake boosters and non-compliant dashboard material. GM still has several more vehicle investigations pending within the NHTSA. One involves 1.77 million full-size SUVs and pickup trucks from 1999 to 2003 for brake line corrosion that can lead to increased stopping distances. GM and the NHTSA also received more than 1,300 complaints for brake light malfunctions on 2005-2008 Pontiac G6 models, which were not included in last year’s recall of just under 10,000 cars in the US. None of these investigations have been escalated to a recall either by the NHTSA or GM. GM CEO Mary Barra is scheduled to testify Tuesday before the US House Energy and Commerce Committee on the ignition switch recalls. General Motors is recalling 824,000 more cars over defective ignition switches that have caused some engines to shut off and to disable airbags. GM said it was recalling a variety of models made between 2008 and 2011, in addition to 1.6 million cars made before 2007 that were recalled last month. The carmaker said it was unaware of deaths caused by the flaw in the 2008-2011 models. But the problem has been linked to between 12 and 303 deaths in crashes. Separately on Friday, GM halted sales of some models of the popular Chevrolet Cruze car. GM did not give details of the reasons behind its move, which affects models with 1.4 litre turbo diesel engines, nor did it say whether the sales halt affects markets outside the US. The recall of the 2008-2011 models announced on Friday adds to the 1.6 million cars the company has already recalled over reports of the faulty ignition switch. “We are taking no chances with safety,” GM chief executive Mary Barra said in the company’s announcement. 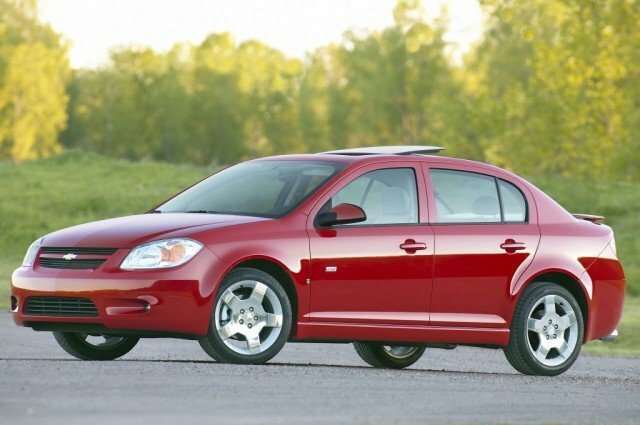 The models affected by Friday’s recall are the Chevrolet Cobalt and HHR, Pontiac G5 and Solstice, and the Saturn Ion and Sky. That can shut off the car’s engine and disable the airbags, with potentially disastrous consequences. Until the cars can be recalled and the ignition switches replaced, GM recommends customers remove all items, including the key fob, from their key rings, using only the vehicle key in the ignition switch. 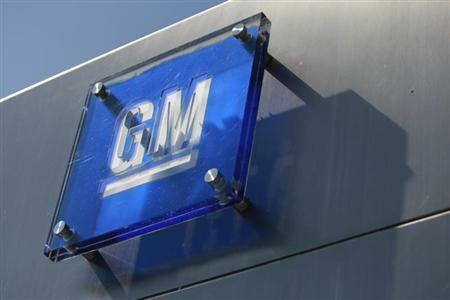 GM has admitted that some employees knew about the issue as early as 2004. The carmaker has linked the issue to 12 deaths. But a report by the Center for Auto Safety has put the number at 303 – a figure that GM has disputed. The delay in recalling the vehicles has triggered two congressional enquiries against General Motors. Mary Barra is scheduled to testify to both chambers of Congress next week on the issue and address why it did not recall vehicles earlier.